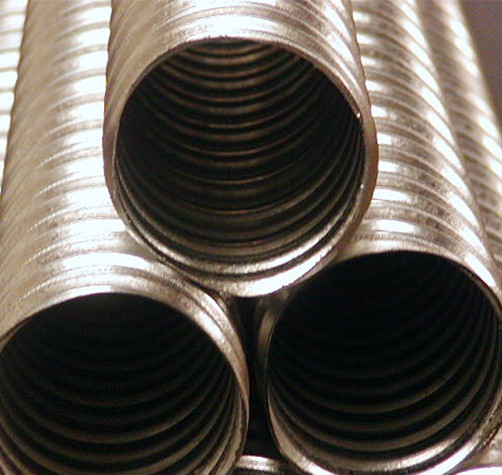 What are corrugated dowel tubes? Corrugated Dowel Tubes are 26 gauge, galvanized steel tubes that are attached to the steel reinforcing bars in precast concrete pile forms. The tubes preform the holes that will receive dowels to attach the pile to the pile cap. The corrugation ensures the tubes will lock securely into place for as long as needed. With steel that strong, aren’t corrugated dowel tubes expensive? Compare the cost of equipment and labor needed for the drilling process after a concrete pile is driven to purchasing corrugated dowel tubes to preform the holes, and you’ll realize an extremely compelling cost savings! What if I don’t know the pile depth? In cases where pile depth is not known, simply cast the corrugated dowel tubes in at longer lengths. They can be easily cut along with the concrete pile once the final tip elevation is reached. What if my project doesn’t specify corrugated dowel tubes for concrete piles? Talk to your structural engineer about a change order. Removing the need to drill after a concrete pile has been driven is likely to save you significant time and money during the project. Contact us and our engineers will walk you through the process. What products do you have for other concrete applications? We have products that are used in post-tensioning applications as well as other concrete members such as bridge decks, columns, slabs, etc. Call 770-740-0498 now. We’ll be happy to help you figure out what you need and give you an estimated delivery time.